1. Have more fun, learn faster, and become a better dancer. Preparing for a Medal Test is fun, and speeds your progress. You’ll look forward to each and every lesson! 2. Create and accomplish clear goals. Your lessons will take a laser sharp focus. This intensive, “Berlitz” style of learning is the best way to make real progress towards quality dancing and the immovable test date. 3. Polish your presentation. The criteria used to score a Medal Test is similar to that used to judge a dance competition, but with an eye towards proper technique more than style and flash. 4. Get valuable feedback from our elite Examiners. Our Examiners are among the most highly credentialed dance professionals in the world. Their insights into your personal dance strengths and weaknesses will be invaluable when charting the course of your future lessons. 5. Measure your progress against the universal standard of the USISTD. 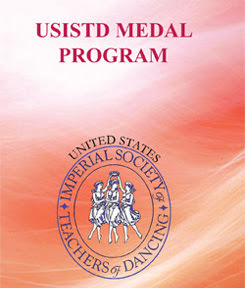 The USISTD maintains the highest of standards for both amateurs and professionals and is respected worldwide. The Medal Test process assures that you are being taught in accordance with these objective criteria. Medal Tests are milestones which mark the completion of one level, and open the door to the next. Watch the Medals System DVD to see how easy it is. All of the figures are within the USISTD syllabus or the NDCA list of approved figures. 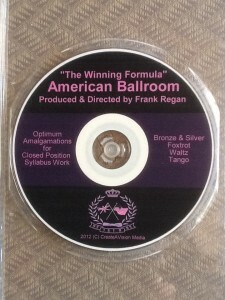 It has been designed with the intention of educating Pro am teachers how to construct their competition routines for optimum results and also as a motivational medium for students to see the opportunity in high quality medal work as a means of creating an appropriate foundation. 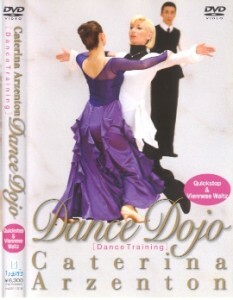 “Embodies the essence of ballroom dancing in its ultimate form showing beauty with just a few simple figures . Simplicity captivates the eyes.” –Michell Stone Fellow & Examiner, USISTD. 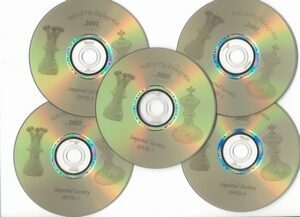 This 5 DVD set includes all the lectures from the 2007 USISTD Congress. Lecturers include Max and Yulia; Peter Billett; Bill Davies; Lori Woods Gay; Frank Regan; Cher Rutherford; Eddie Simon; and Taliat Tarsinov. Born in Italy, Caterina, danced together with Augusto Schiavo, won the British Amateur Ballroom Championships in 1991 and 1992 and then turned professional to have played a leading role in the expansion of the Italian Sensation among the Dance World today. In recent years, she is very much in demand as a teacher not only in Italy but also in all over the world. Now Caterina is organizing the successful dance training camp in Ischia-Italy every year together with her husband, Jerry Abrate. 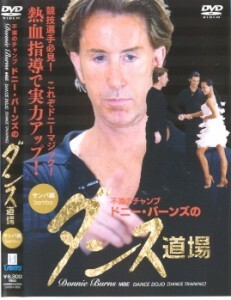 This is not a technique DVD. 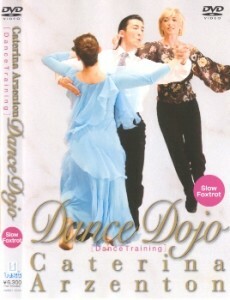 This DVD shows how Donnie Burns would work with a couple to make them better.